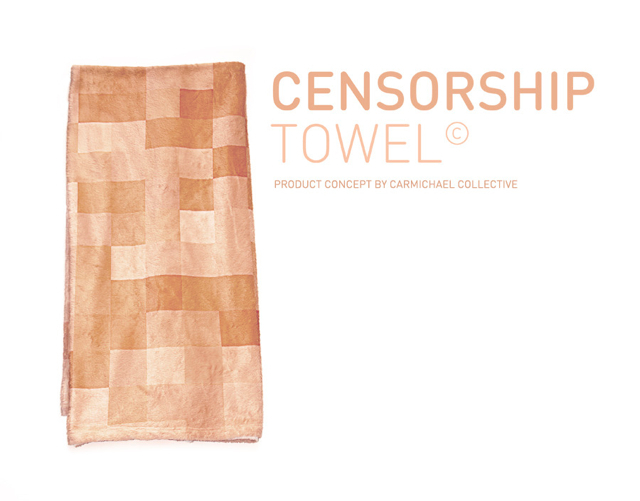 The Censorship Towel by Carmichael Collective is a concept bath towel that cleverly pixelates your body in real life. Carmichael Collective is an ongoing art project by Minneapolis-based advertising agency Carmichael Lynch. We have posted projects by them previously, including Piñata Anatomy, Urban Plant Tags, and Bug Memorials. Thanks for the Carmichael Collective for the tip! Only a concept – for now – but a girl can dream.